Switzerland plays a particular role in the history of the Zeppelins. Many flights went into Switzerland and the Swiss population was always fascinated by the view of the enormous airshpis. 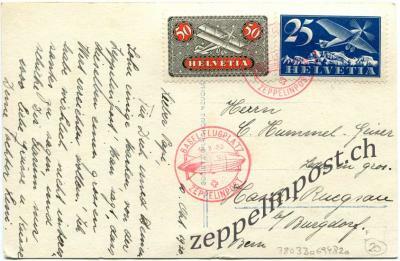 The postal items carried by the Zeppelins have played a particular role since the earliest days of Zeppelin mail delivery. They are fascinating contemporary witnesses of a time, when ships of the size of more than two soccer fields were crossing the sky. 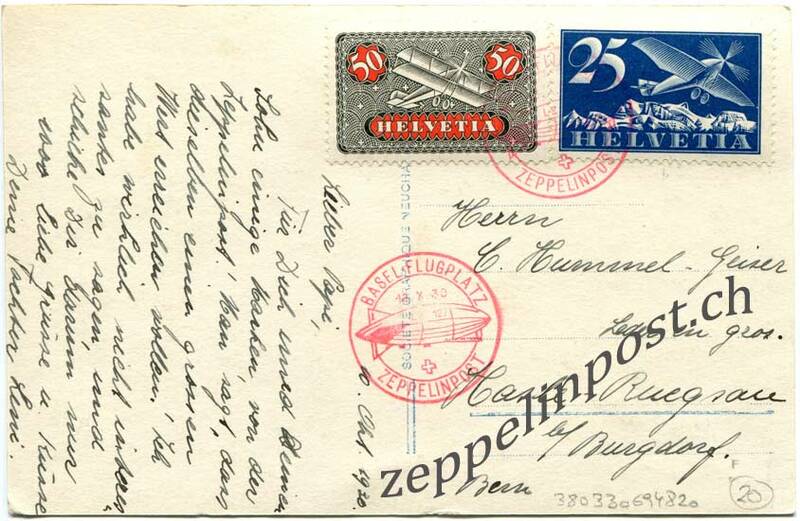 zeppelinpost.ch gives an insight into the Swiss flights of the Zeppelins and the Swiss Zeppelin mail, which is considered as either mail that was dropped over Switzerland (or Lichtenstein) ground or postal items that were franked with Swiss stamps. Such postal items can be purchased in the zeppelinpost.ch shop in the near future. zeppelinpost.ch is happy to collect Swiss Zeppelin mail or contemporary witnesses.